A major part of our thinking on the redevelopment of the Haymarket former goods yards for Tiger developments has been the wider context of what the Haymarket as a public space could become. 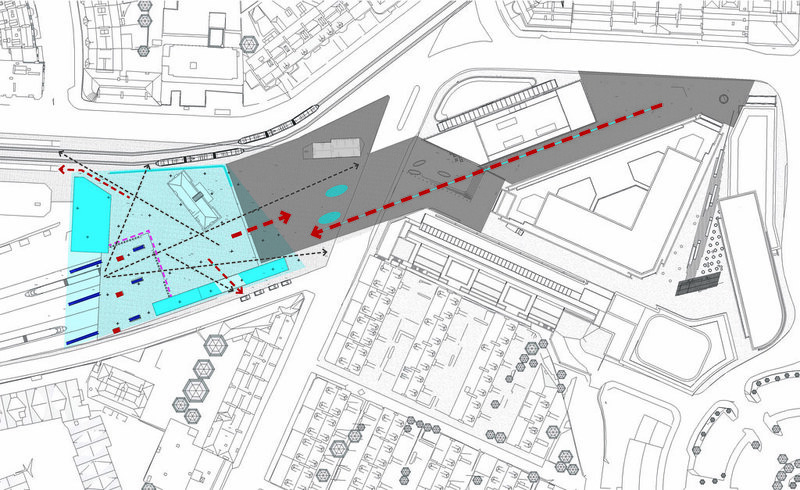 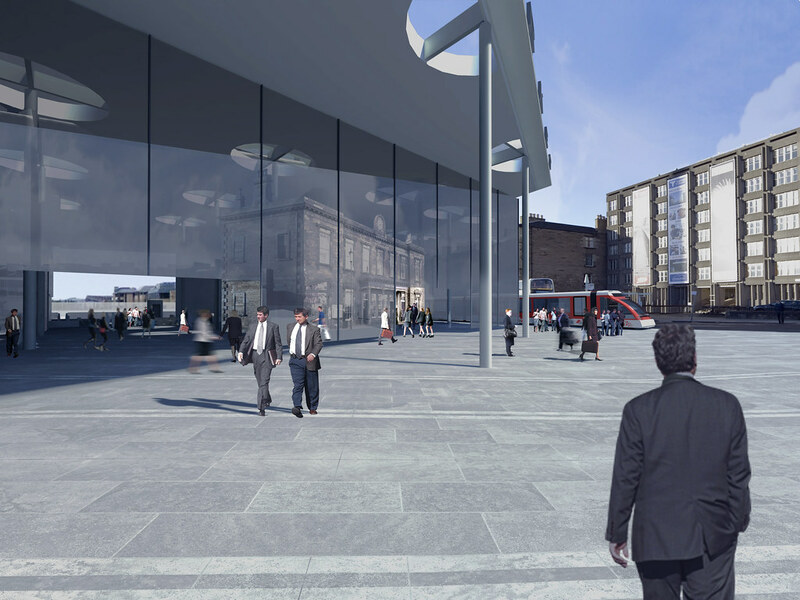 Although there is a considerable amount of public realm in the Tiger proposal we have always seen this as an adjunct to public realm which should exist between the site and the Station. 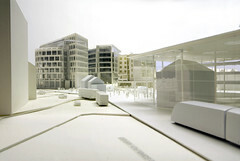 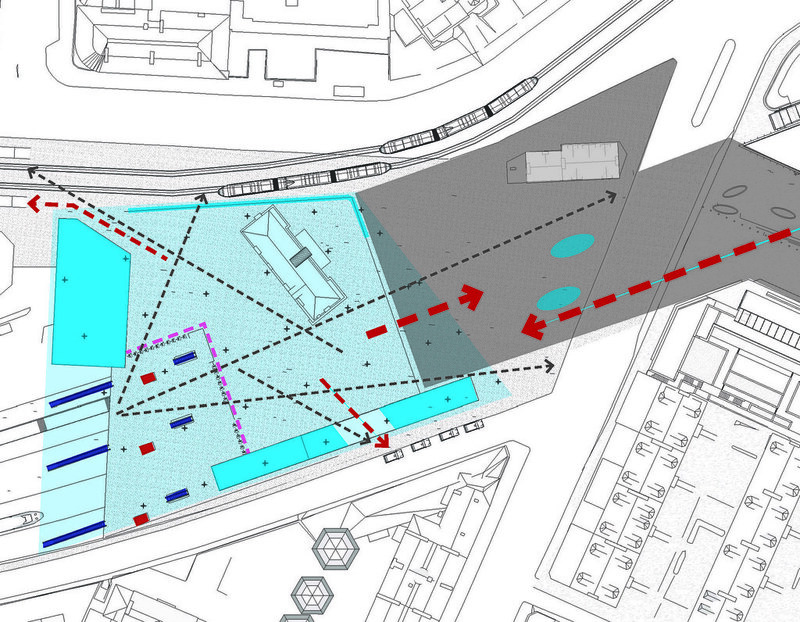 The station itself has been subject to a number of studies and proposals over the years and there is a proposal currently tabled which shows development behind the current listed building. 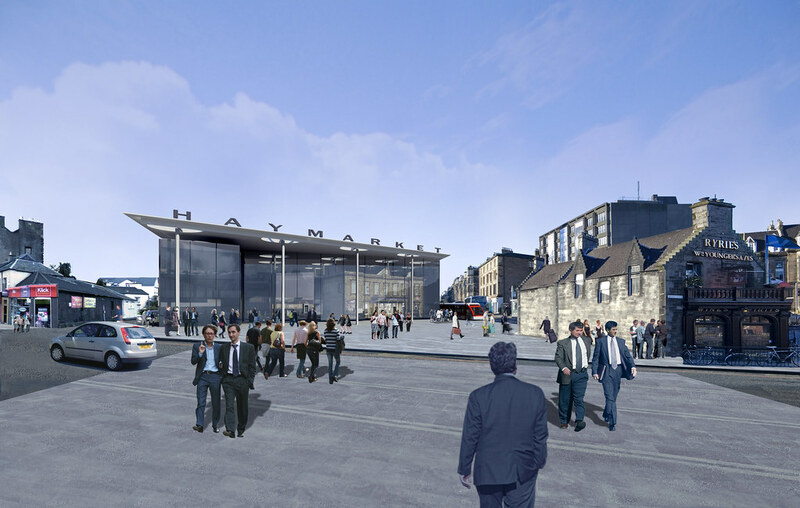 Haymarket is the fourth busiest station in Scotland with passenger figures projected to increase dramatically and the existing arrangements are already seriously inadequate. 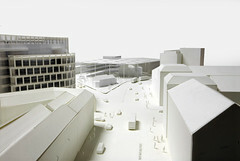 Architecture and Design Scotland have held a number of workshops on the wider Haymarket in which we have participated. 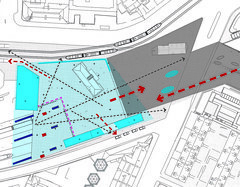 We have volunteered a proposal illustrated here which completes the logic of the circulation of our own adjacent development, and at the same time creates major public space, shows how taxis and trams can interchange and most importantly gives the station a civic importance commensurate with its status as a transport hub and a gateway to the city. 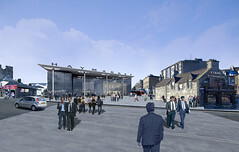 In addition the existing Historic station building is preserved entirely within the new glazed concourse and commercial opportunities are exploited for retail at ground floor and office accommodation above. 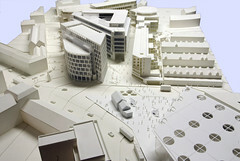 The design is offered as an element of what should be a public debate over this important part of the city. 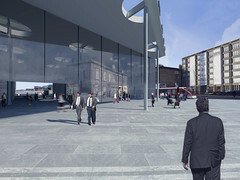 Scotrail’s design by another architect has been constructed and against all planners’ advice to us orientates passengers away from the Haymarket. 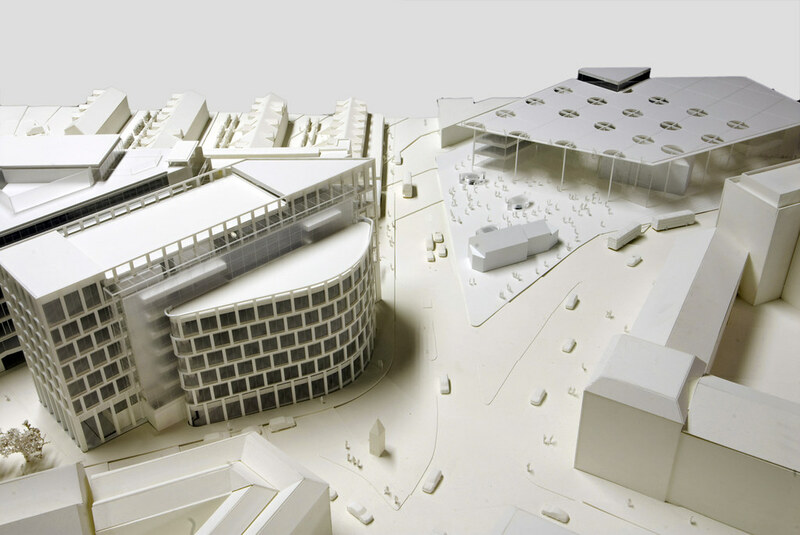 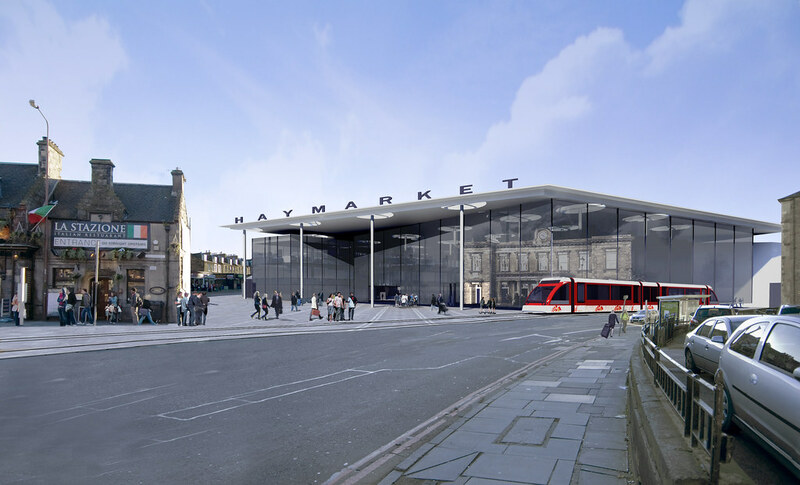 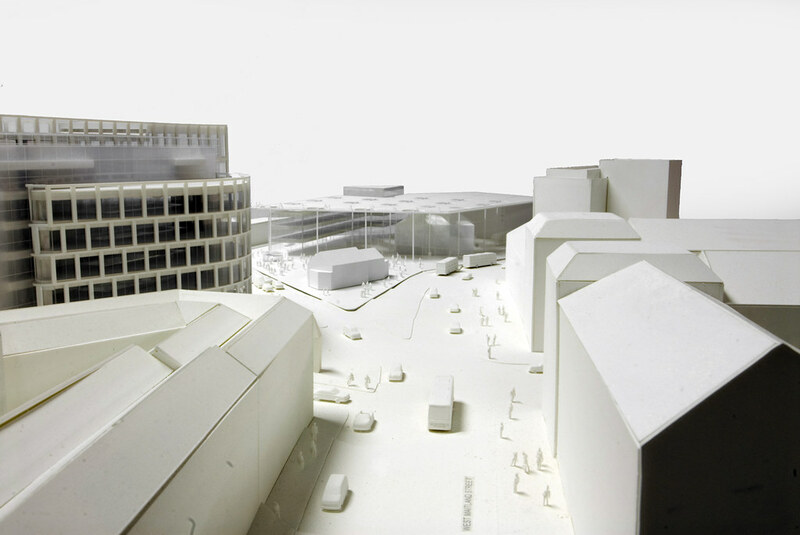 Click here to see our design of for the Haymarket Site.